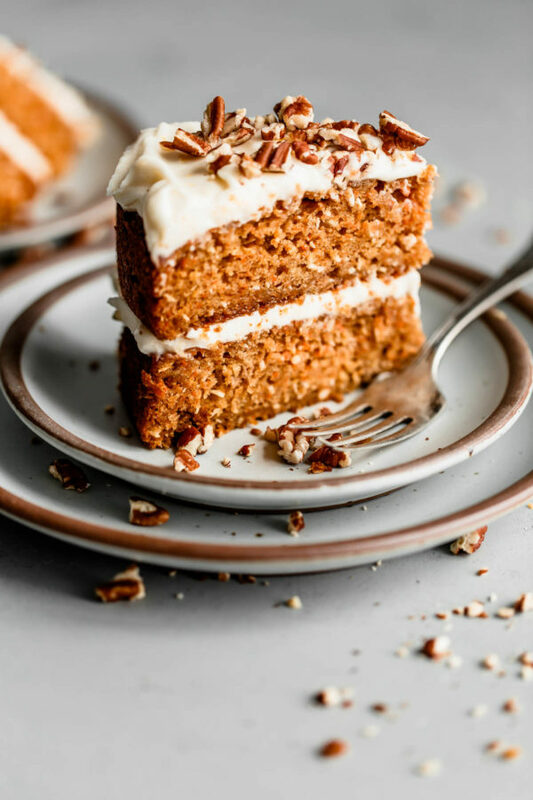 This carrot cake with pineapple and coconut is incredibly moist, lightly spiced, and very easy to prepare! A great cake for Easter weekend or year round celebrations. I can’t think of a better way to break the radio silence over the past few weeks than with cake. Not just any cake, carrot cake with lemon cream cheese frosting! If you’re looking for a delicious, classic dessert recipe to serve on Easter weekend, look no further. I’m no stranger to carrot cake. In fact, when executed properly, it happens to be one of my favorite cakes of all-time. And whenever spring rolls around, I get a hankering for it. 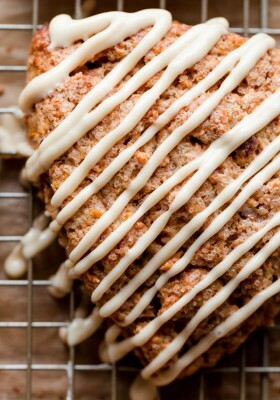 A few years ago, I shared these carrot cake scones and just last year, we made carrot cake breakfast cookies! 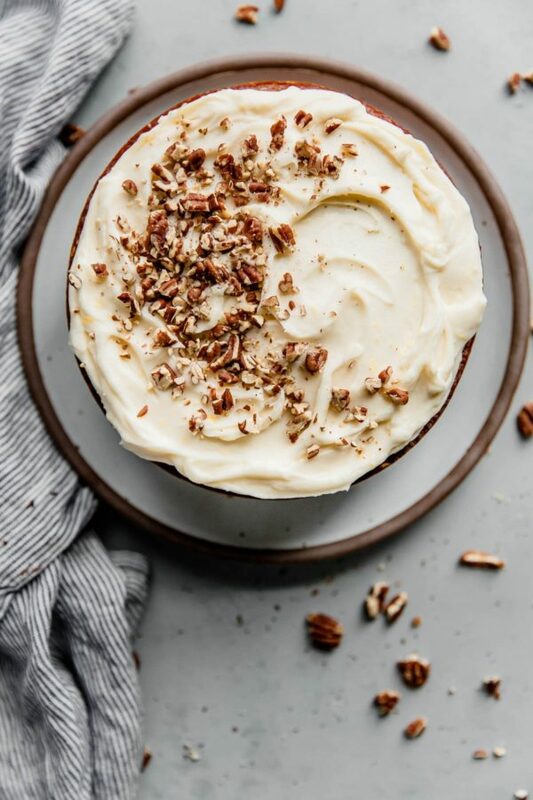 Today, I’m getting back to basics and sharing my all-time favorite carrot cake recipe. 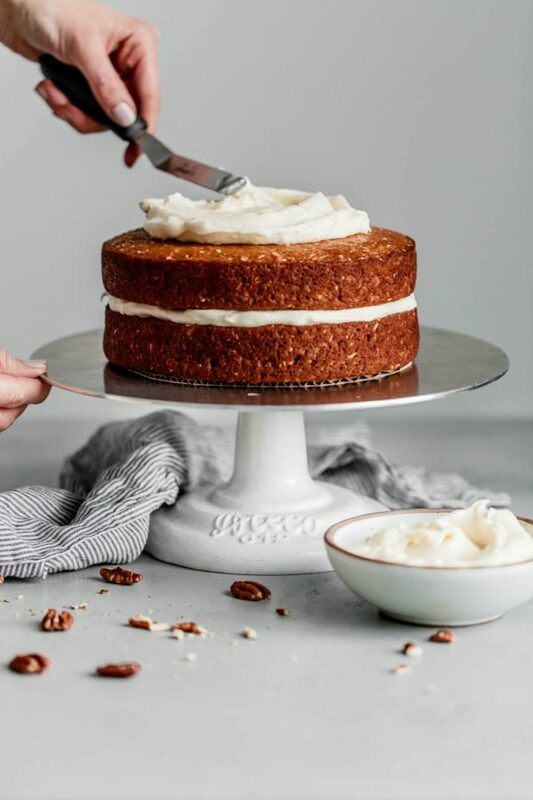 This carrot cake is incredibly moist (thanks to a few special ingredients, which I’ll cover below! ), packed with freshly grated carrot, lightly spiced, and very easy to prepare. It also holds up extremely well, which means that you can bake and assemble this cake well ahead of time, and enjoy the leftovers for days. In keeping with tradition, the cake is topped with a rich cream cheese frosting! I can’t imagine it any other way. I took the liberty of adding lemon zest, which adds a lovely brightness and citrus note that complements the cake beautifully. You can choose to prepare a naked cake or decorate the sides – the frosting recipe prepares enough for both options. This cake recipe yields an 8-inch, two layer cake and roughly 10 to 12 generous portions. For some added texture, I like to garnish the top of the cake toasted chopped pecans. Feel free to substitute them with chopped walnuts or leave them out entirely to make this nut free. 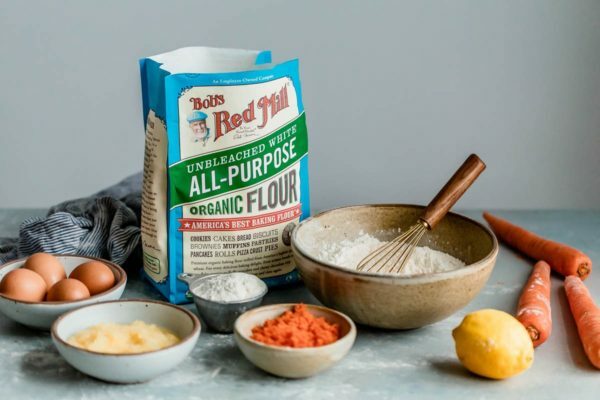 For today’s carrot cake recipe, I turned to my trusty and reliable everyday baking flour: Bob’s Red Mill Organic Unbleached All Purpose. I’ve been working with Bob’s Red Mill for just over four years and can’t recommend their products more highly! 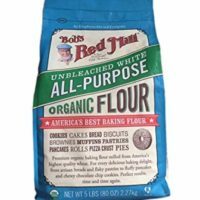 Bobs Red Mill Organic Unbleached All Purpose Flour is made from freshly milled organic hard red wheat and contains a 10% – 12% protein content. This mid-range protein content allows for a tender crumb, yet still provides structure and gluten development to baked goods. I always keep this flour on hand, because it is incredibly versatile. It produces consistent results and can be used for so many applications. 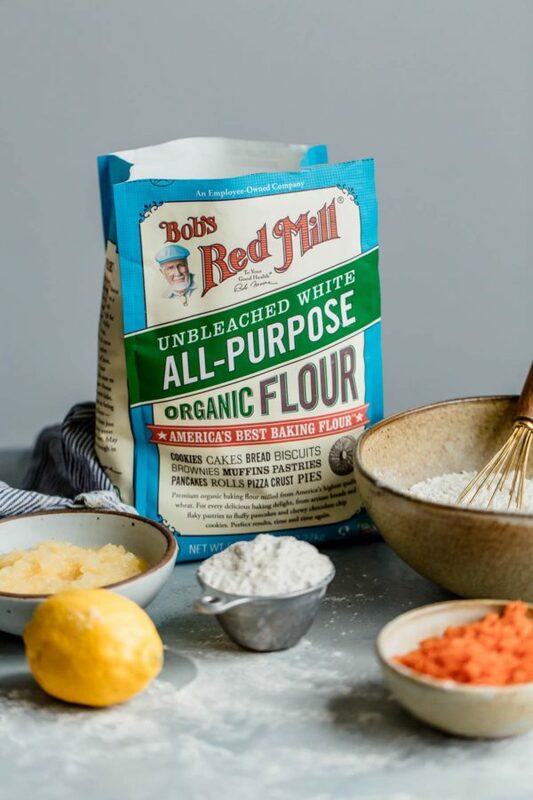 Equally as important to me, Bob’s Red Mill flours are never bleached and do not contain bromate (which is banned outside the United States) or other chemicals. Read more about the different types of baking flour here. 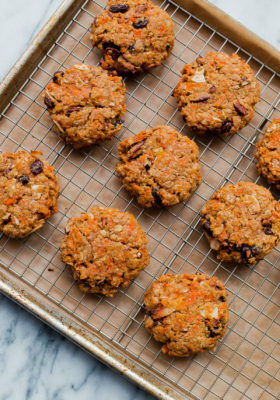 So what makes this carrot cake recipe different? It isn’t overly sweet and contains lemon zest, tons of freshly grated carrot, as well crushed pineapple and unsweetened shredded coconut! Carrot cake with pineapple is a bit controversial, but once you try it, you won’t go back. Promise. Avocado (or Vegetable Oil) – for cakes with lots of flavorful ingredients, I prefer to use oil as my primary baking fat. Oil produces moist cake crumbs that hold up well over time. I like to use avocado oil, which is neutral in flavor and has a high smoke point, but any other neutral vegetable oil can be substituted. 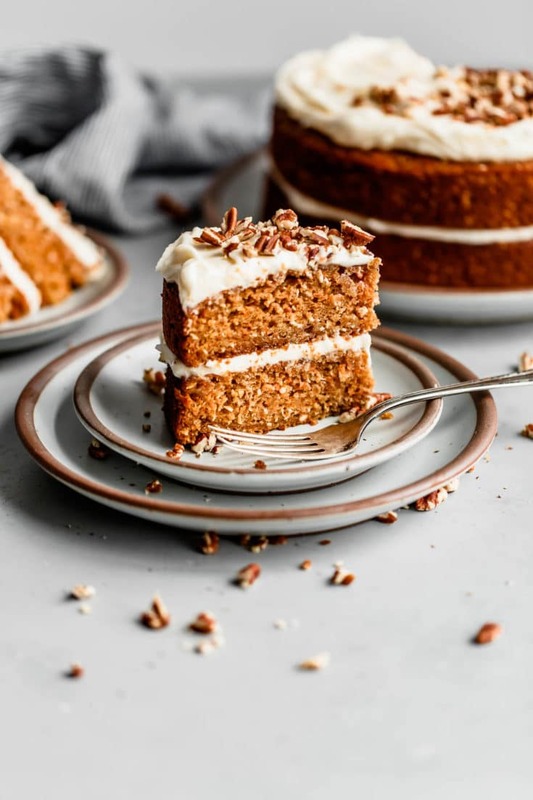 Grated Carrot – this carrot cake recipe calls for 2 and 1/2 cups of finely grated carrot (or about 4-5 large carrots). The fastest way to grate carrots is to use the grating blade attachment of a food processor. To create a finer grind, pulse the coarsely grated carrots several times in the bowl of a food processor with a blade attachment. The finer texture of the carrots produces a lighter cake crumb. 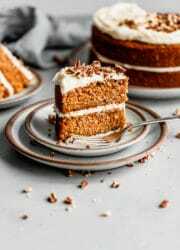 Crushed Pineapple – I love crushed pineapple in carrot cake because it contributes added moisture and acidity to the cake. For this recipe, you’ll need a cup of drained canned crushed pineapple (in its juice). A fine-meshed sieve makes this easy. To take it one step further, we’ll be pulsing the drained pineapple in a food processor until it reaches the consistency of applesauce to ensure it is evenly incorporated throughout the cake batter. No random pineapple lumps in this cake. 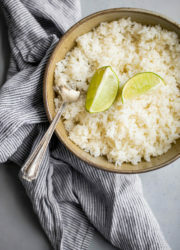 Unsweetened Shredded Coconut – this ingredient adds a delicate hint of natural coconut flavor, which complements the other flavors in this cake. It also adds lovely texture as well. Note: Be sure to watch the recipe video below for more visual guidance on how to prepare these ingredients. I’ve prepared carrot cake several ways (nuts, raisins, the works!) and carrot cake with pineapple and coconut is my absolute favorite. 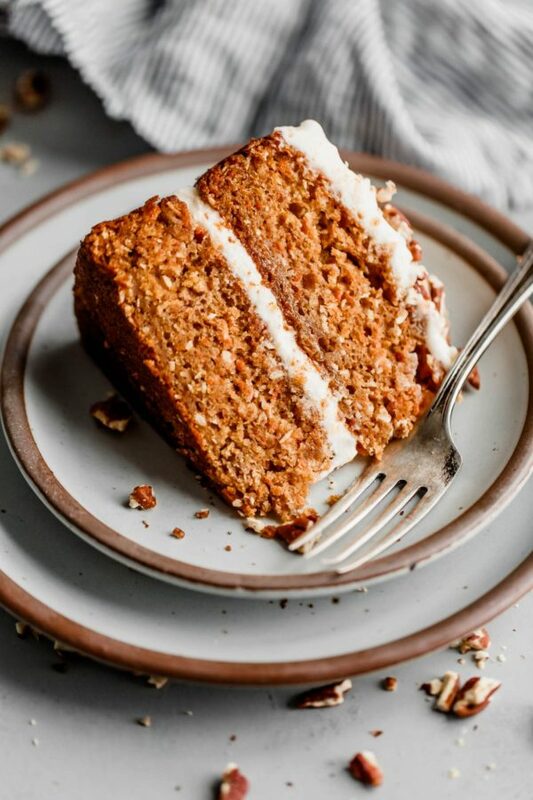 The crumb on this carrot cake is tender and moist, with a lovely delicate texture from the finely grated carrot and coconut. The frosting takes it to another level, but this cake tastes fantastic on its own as well! It also is just sweet enough to be enjoyed on its own, yet not too rich or heavy that it is weighed down by the cream cheese frosting. 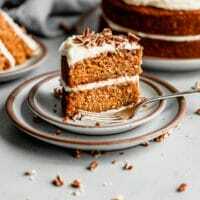 Carrot Cake with Pineapple and Coconut - this carrot cake recipe gets its moist texture and nuanced flavor from crushed pineapple, unsweetened coconut, lots of grated carrot, and baking spices. Topped with a homemade lemon cream cheese frosting, this cake holds up extremely well and can be easily prepared in advance for Easter weekend or year round celebrations. Baking Note: Please take note of the preparation methods for the crushed pineapple and grated carrot listed in the ingredient list above before moving forward with preparing the recipe. Prepare the cake: Preheat your oven to 350 Fahrenheit (180C) with a rack in the center position. 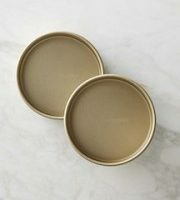 Grease two 8-inch (20cm) cake pans with baking spray and set aside. 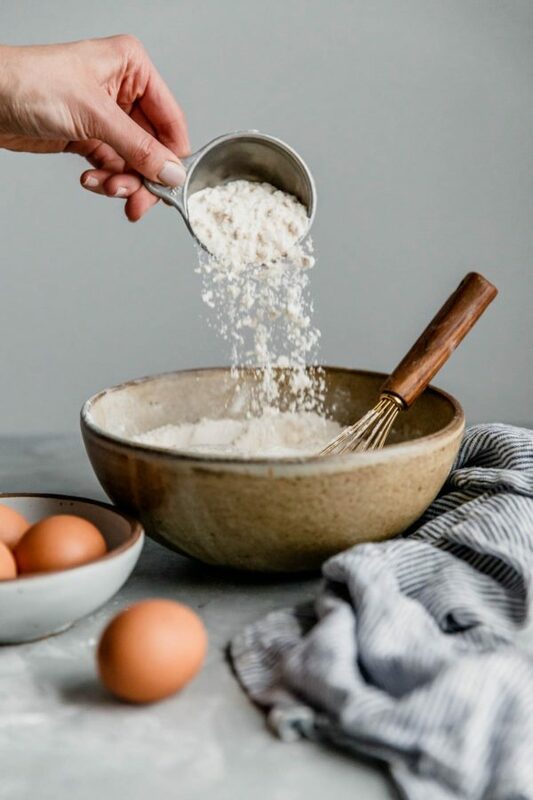 In a medium mixing bowl, whisk together the unbleached all purpose flour, baking soda, ground cinnamon, ground ginger, and salt. Set aside. In a large mixing bowl, combine the sugar and lemon zest. Using your fingertips, rub the lemon zest into the sugar until it is moist and fragrant. Add the eggs, avocado oil, pineapple, and vanilla extract, and whisk together until smooth and thick. Add the dry flour mixture to the wet ingredients in two additions, and combine with a whisk until the flour has just been absorbed. 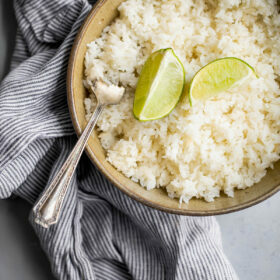 Fold in the grated carrot and unsweetened shredded coconut with a spatula, being careful to avoid over mixing. Distribute the batter evenly among the greased cake pans, and smooth the top of the batter with an offset spatula. Bake for 32 to 38 minutes, or until the cake is golden brown in color, the sides are just beginning to pull away from the edges of the pan, and a toothpick inserted in center comes out clean. Allow the cakes to cool in the pan on a cooling rack for about 10 minutes. Carefully invert the cakes onto the cooling rack, then invert once more so that the top of the cake is facing upward. Allow the cake layers to cool completely before frosting. 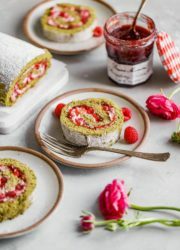 *Note: If preparing the cake layers ahead, allow them to cool completely, then wrap each layer tightly with plastic wrap and refrigerate for up to 2 days or freeze for up to 2 months. Prepare the cream cheese frosting: Place the cream cheese, unsalted butter, salt, vanilla extract, and lemon zest in the bowl of a stand mixer, fitted with a paddle attachment. 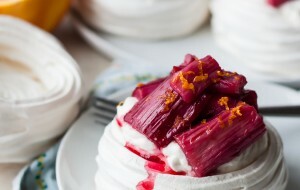 Beat over medium-high speed until smooth and creamy, about 30 second to 1 minute. Over low speed, slowly add the powdered sugar. 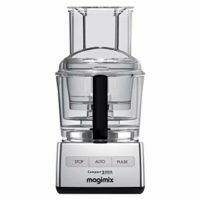 Once the sugar has mostly been absorbed, increase the mixer speed to medium-high and beat until smooth and fluffy, about 1 minute or so. 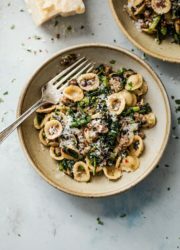 Scrape down the bottom of the bowl with a spatula once or twice throughout the process to ensure all of the ingredients have incorporated fully. Assemble the cake: Pick the sturdiest cake layer as the bottom of your cake, and place on a cake stand or cake board. Evenly spread cream cheese frosting on top of the first cake layer; then gently place the remaining cake layer on top. Spread frosting on the top layer, using a small offset spatula to create little swooshes in the frosting. Note: The cream cheese frosting recipe makes enough for you to generously frost the tops, as well as the sides of this cake - I chose to leave the sides of my cake naked (as the cake itself is very moist and can hold up to this). 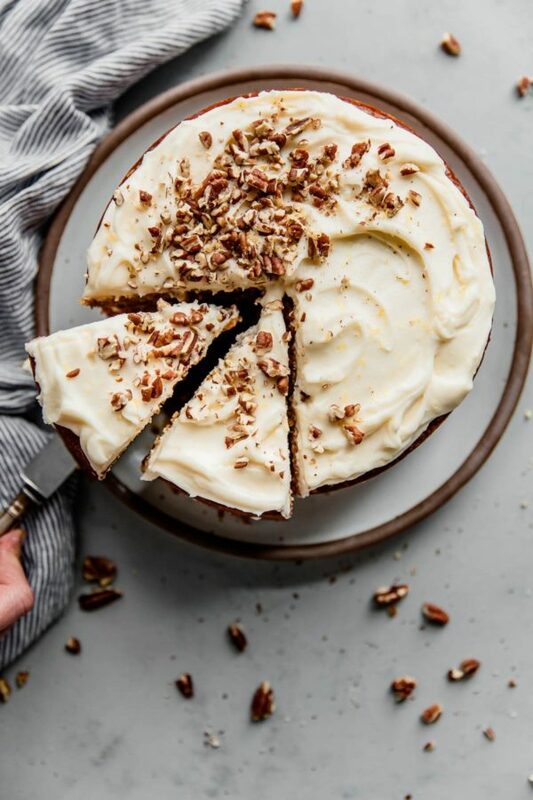 Garnish the cake with chopped toasted pecans, as desired. Slice with a serrated knife and serve. 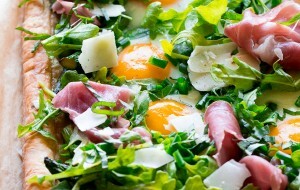 If making ahead, cover and refrigerate for up to 2 days. The cake will be best served within a day or so of baking, but due to its high moisture level, holds up extremely well and still tastes very good up to 3 to 5 days after baking. Note: If making ahead, I like to remove the cake from the refrigerator about 30 minutes or so before serving. I prefer the texture of the cake and frosting when it has a slight chill. Pulsing the drained crushed pineapple creates a smoother texture and ensures that the pineapple (and the added moisture it provides) distributes evenly throughout the cake batter without resulting in a coarser cake texture. 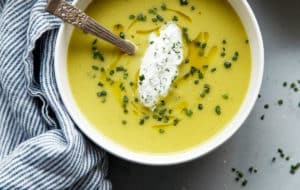 You'll need just under one (20-ounce) can of crushed pineapple, in pineapple juice, for the quality outlined in this recipe. For the best texture, I recommend grating your carrots with the grating blade of a large food processor (or box grater) and then pulsing the grated carrot in the food processor bowl to create a more fine grind. 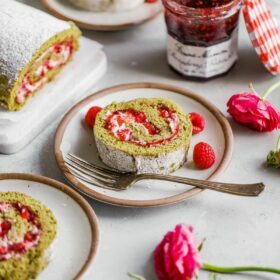 If preparing the cake layers ahead, allow them to cool completely, then wrap each layer tightly with plastic wrap and refrigerate for up to 2 days or freeze for up to 2 months. The cake will be best served within a day or so of baking, but due to its high moisture level, holds up extremely well and still tastes very good up to 3 to 5 days after baking. Honestly, as long as there’s cream cheese frosting I could care less about pineapple, nuts, etc. Except raisins, no raisins. Hahah! I feel you. I knew that one was probably going to be the most contentious!